Card has no value until activated by checker. Accepted at all Bed Bath & Beyond, buybuy Baby, Christmas Tree Shops, and Harmon Face Values locations and online at bedbathandbeyond.com and buybuybaby.com. For locations coast to coast call 1-800-GO BEYOND (1-800-462-3966). 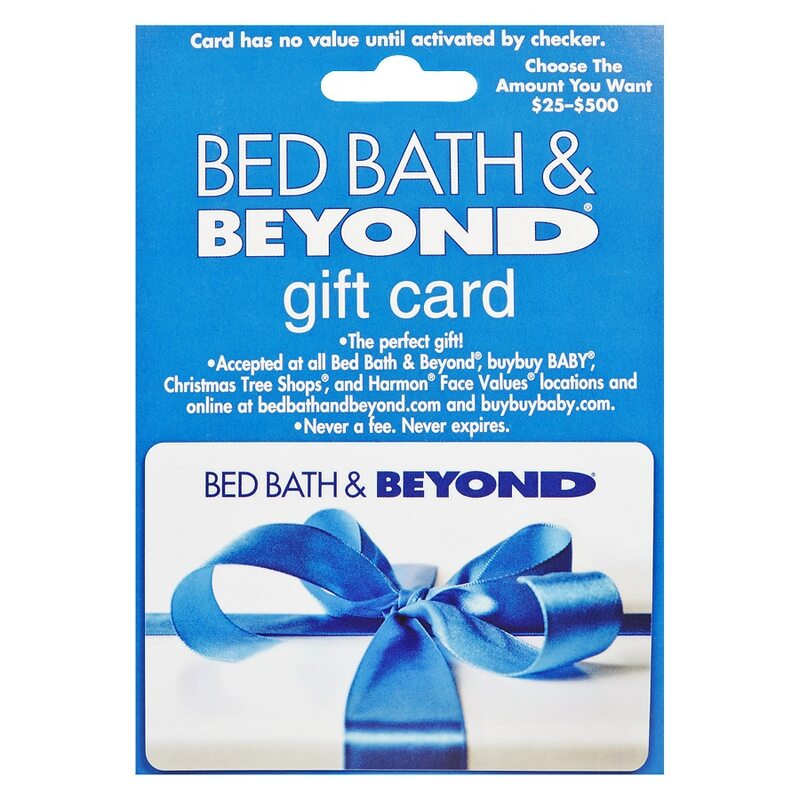 This Bed Bath & Beyond gift card is redeemable for merchandise only and may not be redeemed for cash, except where required by law. This gift card cannot be used for portrait studio services. If a gift card is lost or stolen, a replacement card will be reissued with the balance remaining when an original receipt is presented. There are no service fees or expiration dates connected with the use of this card. Card cannot be redeemed until activated. This card is issued by BBB Value Services Inc.